Frog – Green – Apple – Tree – Squirrel etc. 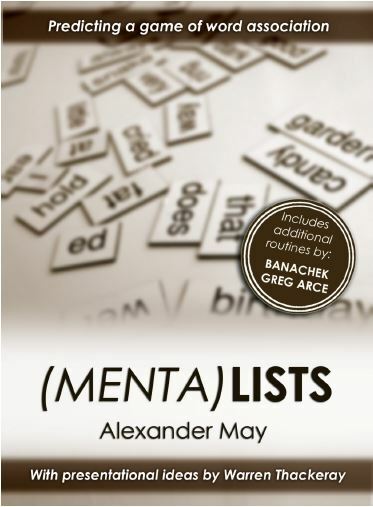 (Menta)Lists gives you the power to accurately predict the final word that will be named! Full routines and additional ideas by Banachek, Greg Arce and Warren Thackeray. With (Menta)Lists they can now select their own words! That’s right – they can think of ANY random words that come to mind… and you are able to correctly read their thoughts before they even had them! In fact, you can even have an audience member make the prediction!